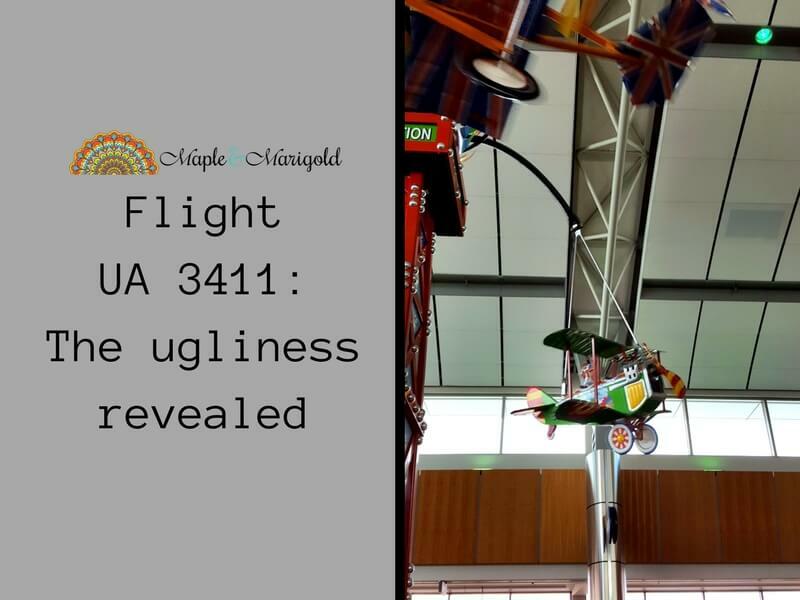 Dragging a passenger down the hall: the ugly events of United Airlines UA 3411. Why the problem isn’t overbooking or “re-accommodating” as claimed by many. On Sunday April 9, after UA 3411 from Chicago to Louisville, KY was fully boarded, the staff realised they had 4 United crew members who needed to get to Louisville. The flight was full that meant 4 paying passengers had to be offloaded to accommodate the UA staff who were headed to work. Passengers were asked to volunteer to be offloaded, and offered compensation for their troubles. Nobody raised their hand likely because this was a Sunday evening and I bet most people were headed to work the following day. With no volunteers, four passengers were randomly chosen by UA staff and again offered compensation. After much discussion, three of the passengers agreed. The fourth passenger, a doctor, said he had appointments scheduled for the following morning. The following day’s flight arrived late afternoon into Louisville. That’s when this situation went awry. After failing to convince the fourth passenger instead of moving down the list and choosing another passenger, the UA staff called in the airport police. Now in our umpteen travels my husband and I have been offered to be offloaded a few times. With work commitments we have never been able to take the airlines up on their offer. At most we have received in response is a stink eye from the gate staff. While the details of the assault and the incident are being confirmed, here’s what I have trouble with: This was not a situation of overbooking as claimed by most media organizations. This was atrocious mismanagement by United where the airline wasn’t aware of the crew that had to be transported to Louisville. So when they showed up at the gate, the staff scrambled to accommodate them. After seeing that one of their four candidates for offloading did NOT want to “volunteer,” the flight staff should have moved on and chosen another person. This happens all the time, and airport staff move down the list till they find someone who is willing to take the compensation. The staff did not do this and instead called in the aviation police to handle the matter for them. The airport police did what they are known for – they used brute force. A man, a paying customer for United Airlines, was dragged out of his seat, his face beaten up and humiliated in front of the entire plane. All he wanted to do was get to his destination. Since this incident the CEO of United has released a statement where he has apologized for “having to re-accommodate” the passengers but there has been no apology for the mishandling of the situation and the person. There are people out there who are saying that this man was treated in the way that he was because he is Asian. I am waiting to see how the events unfold before I yell racism. I don’t even care if the UA staff were on the right side of the law with their behaviour. What boggles my mind is the complete lack of civility and human decency they demonstrated. From the crew in the airplane to the CEO’s office; it almost makes me glad that we live in a time and a world where there is little privacy. So if you’re treating a person with no respect there is someone watching. If you’re attacking someone there is at least one device recording. And there will be repercussions. I’ve made my mind up and I’m voting with my wallet. If that’s how you treat your customers, then you don’t get my business. United Airlines, you will not be seeing me again. Follow up to this article and the events on flight UA 3411 here. While the issue was not strictly overbooking, it was handled as if it was, but stretched way beyond the usual practise – the guy had already boarded. UA initially said that the incident was because of overbooking – which they later ‘amended’ to re-accomodation to make room for flight crew. So there have been stuff-ups galore over this incident from flight staff to management. I agree, Barry poorly handled from start to finish. And that continues with the most recent press release from UA. People are still upset at the complete lack of courtesy exhibited by UA staff. Beating up on a man like that – it still gets my blood boiling. Thanks so much for dropping by and leaving your feedback! But for the customers involuntarily denied boarding, the process seems very unfair and arbitrary and leads to some of United’s and the industry’s worst customer service experiences. Mr. Hobart, the United spokesman, confirmed that United sought passengers willing to give up their seats with compensation but that none stepped forward. The situation very quickly devolved from that.